The Art of War - Summary. 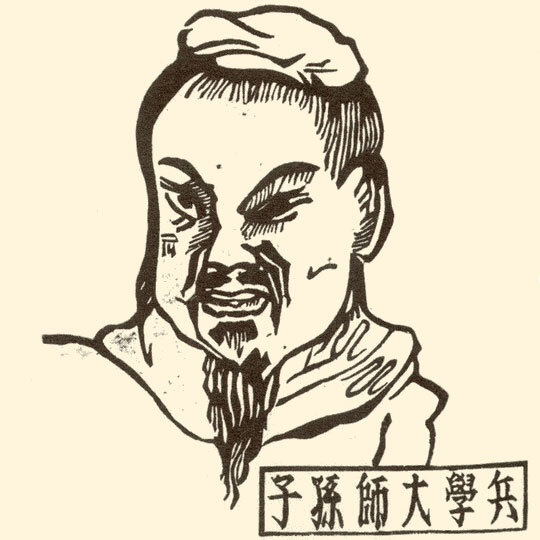 Teachings of Sun Tzu are based on the principles of the Taoist religion. In thirteen concise chapters of the Art of War, general Sun Tzu defines a sophisticated science in a deliberative manner, starting with a key assertion: "War is a vital matter of state." More quotes from Sunzi. Summary: Art of War, 始计, initial estimations, the calculations. Detail assessment and planning explores the five fundamental factors (the Way, seasons, terrain, leadership and management) and seven elements that determine the outcomes of military engagements. By thinking, assessing and comparing these points, a commander can calculate his chances of victory. Habitual deviation from these calculations will ensure failure via improper action. The text stresses that war is a very grave matter for the state and must not be commenced without due consideration. Summary: Art of War, 作战, waging war, the challenge. Waging war explains how to understand the economy of warfare and how success requires winning decisive engagements quickly. This section advises that successful military campaigns require limiting the cost of competition and conflict. Summary: Art of War, 谋攻, planning offensives, the plan of attack. Strategic attack defines the source of strength as unity, not size, and discusses the five factors that are needed to succeed in any war. In order of importance, these critical factors are: attack, strategy, alliances, army and cities. Summary: Art of War, 军形, military disposition, positioning. Disposition of the army explains the importance of defending existing positions until a commander is capable of advancing from those positions in safety. It teaches commanders the importance of recognizing strategic opportunities, and teaches not to create opportunities for the enemy. Summary: Art of War, 兵势, strategic military power, directing. Forces explains the use of creativity and timing in building an army's momentum. Summary: Art of War, 虚实, vacuity and substance, illusion and reality. Weaknesses and Strengths explains how an army's opportunities come from the openings in the environment caused by the relative weakness of the enemy in a given area. Summary: Art of War, 军争, military combat, engaging the force. Military maneuvers explains the dangers of direct conflict and how to win those confrontations when they are forced upon the commander. Summary: Art of War, 九变, nine changes, the nine variations. Variations and adaptability focuses on the need for flexibility in an army's responses. It explains how to respond to shifting circumstances successfully. Summary: Art of War, 行军, maneuvering the army, moving the force. Movement and development of troops describes the different situations in which an army finds itself as it moves through new enemy territories, and how to respond to these situations. Much of this section focuses on evaluating the intentions of others. Summary: Art of War, 地形, terrain, configurations of terrain. Situational positioning looks at the three general areas of resistance (distance, dangers and barriers) and the six types of ground positions that arise from them. Each of these six field positions offer certain advantages and disadvantages. Summary: Art of War, 九地, nine terrains, the nine battlegrounds. Nine terrains describes the nine common situations (or stages) in a campaign, from scattering to deadly, and the specific focus that a commander will need in order to successfully navigate them. Summary: Art of War, 火攻, incendiary attacks, fiery attack. Attacking with fire explains the general use of weapons and the specific use of the environment as a weapon. This section examines the five targets for attack, the five types of environmental attack and the appropriate responses to such attacks. Summary: Art of War, 用间, employing spies, the use of intelligence. Intelligence and espionage focuses on the importance of developing good information sources, and specifies the five types of intelligence sources and how to best manage each of them. This book is not only standard reading for military theorists and many great generals throughout history but has also become increasingly popular among political leaders and those in business management.